3dsMax Camera FOV, Focal length and Film Back. This tutorial will shows the relationship between Filmback, Aperture, Field of View, and Lens size. Understanding the 3dsMax camera filmback is useful if you want to replicate real world cameras or accurately extend the frame size and crop it later in a composite package. The setup for the 3dsMax camera is slightly buried. To replicate real world cameras we’ll look in two areas: the render dialog and the camera dialog. To simplify the process I have developed this MaxScript which is free to download here. Make a new blank scene. Change the settings to PAL and 100 frames. 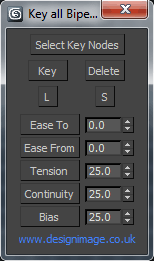 Save the file as maxstart.max and put it in the 3dsmax/scenes folder. Then every time you start max it will load this file as the default. I’ve been doing a lot of MAX plugin research recently. One thing that keeps coming up is how cool node base workflows are. If I’m designing a procedural effect I want a mathematical sketch pad and thats what schematic views give me. One day I might make the leap to Houdi but at the moment I’m heavily invested in 3dsMax. If your into designing your own tools the it’s worth checking out Helium. It’s free and has been used by a bunch of developers for there products. Notably Krakatoa’s Magma Flow editor. So … at some point ( when I have the time ) what i’d like to do is a cutdown clone of superflow elements but based the Helium editor. Tutorial #002 – Parametric Superflow from V-MOTION on Vimeo.